Amazon.com description: Product Description: Drawing on feedback from thousands of educators around the world who have used the UbD framework since its introduction in 1998, the authors have greatly revised and expanded their original work to guide educators across the K-16 spectrum in the design of curriculum, assessment, and instruction. With an improved UbD Template at its core, the book explains the rationale of backward design and explores in greater depth the meaning of such key ideas as essential questions and transfer tasks. 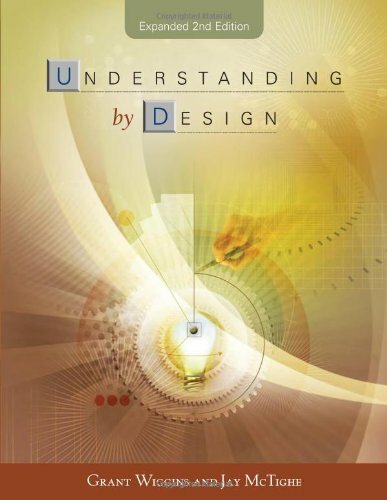 About: The highly anticipated second edition of Understanding by Design poses the core, essential questions of understanding and design, and provides readers with practical solutions for the teacher-designer. About: Presents a multifaceted model of understanding, which is based on the premise that people can demonstrate understanding in a variety of ways. About: Winner of a 1999 EdPress Distinguished Achievement Award! About: What is understanding and how does it differ from knowing?